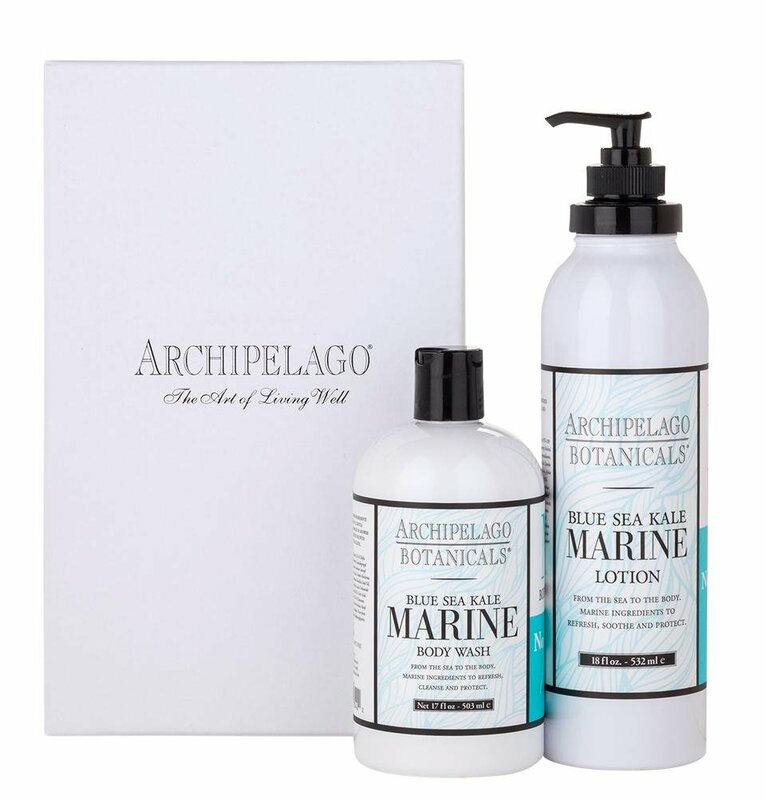 Archipelago Botanicals Marine Soap, Lotion, Sugar Scrub Bath and Body Products | P.C. Fallon Co. The Marine collection blends Blue Sea Kale and other marine nutrients to pamper, refresh, and soothe the skin. The marine extracts are combined with various botanical derivatives in body wash, hand wash, and sugar scrub to cleanse followed with lotion, body butter, and hand cream to moisturize. The ocean inspired fragrance includes notes of Green Mandarin, Coastal Jasmine, Driftwood, Tonka Bean, Azonic Musk. Pamper yourself with spa fragrance and sea botanicals at home.